Introducing the New Pru Link Million….! Investment Linked Plan – Everyone is a Millionaire. 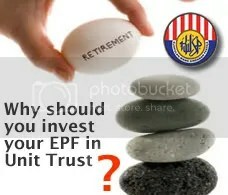 An exclusive regular premium investment-linked insurance plan that provides you with a high coverage of RM500,000 and above, and safeguards what is important to you and your loved ones. How much you should save per month for your child future education in College or University? Every parents have a dream for their son. To be engineer, doctor, lawyer and so on. To realize the dream, parents should prepare in financial when they time come. Many of us, we have a big dream but we didn’t prepare for the dream. You must start savings now because education is not cheap. How much you should put aside for your child future education (monthly)? How much the annual cost for the college? 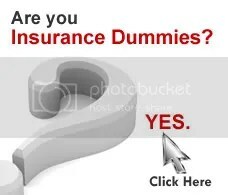 : Google or from booklet. 696,080 x 0.038 = RM26451.04. How do i get the 0.038 value? Email me if you want the Table for investment return. How much savings per month? Rm26451.04 / 12 months = RM2204.25 per month! RM696,080 / 14 years / 12 months = RM4143.33 per month! There are lots of parents out there, which are afford to put RM1000 or RM2000 per months savings for their kids. Small salary earner, I totally understand but i hate to see big incomer earner to neglect their kids. Above you can see comparison between, savings in Investment products compare to normal savings . If you want to do long term savings, investment is the place you should dump your money. Save RM370,314 to get RM696,080 or save RM696,080 to get RM696,080. You decide. RM2204.25 per month! Wow, this amount are bigger than monthly salary average Malaysians. Dont be afraid, if you cant afford to save this amount for your kids. I also cant afford this. The moral of the story, we MUST put aside some money for our kids every months. Small amount like RM100, as we know from here, it will never be enough. At least, we do some savings for them. It helps to reduce the amount of education sponsorship later. Dont make your kids burden with loans before he even start working. 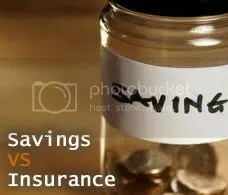 Why should we buy Insurance compare to do own Savings? Every month you do savings of RM200. Thanks for your savings, you have RM12,000 but you still need RM38,000. Family and friends will try their best to help you. But to borrow RM38,000 is near impossible unless your have a very rich relative. Your maybe have one or two assets which can be sold. But it takes at least 6 months to sell a house for example. If your assets still under bank’s loan, yet you cant sell it off. Your saw on television, people seek donation for themselves or their kids. Need money for surgery or treatment. If you are disable or really poor , you are qualified to seek donation under the television programme. But, you are income earner like executive in one big company, you will not getting any help by the donation programme because there are more needy people out there. Unfortunately, you are diagnosed for Cancer preliminary level which need RM50,000 for treatment cost. Now Medical Card will cover all the cost for you. Limit RM500,000 per lifetime. Plus, Rm20,000 compensation because diagnosed with one of the 36 critical illness. 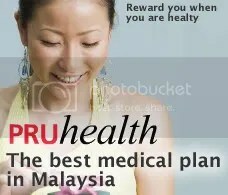 Plus, when you been hospitalized, you will be receiving RM100 per day as hospital benefits. If you unable to work and no money to pay your premium, Contributor plan will continue to pay it. 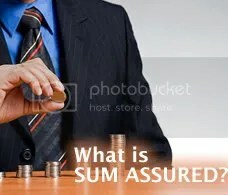 As the result, you still receive Protection and your savings still continue growing until age 100.